The weather nowadays keeps telling me that I should stay at home with my laptop and hot chocolate. 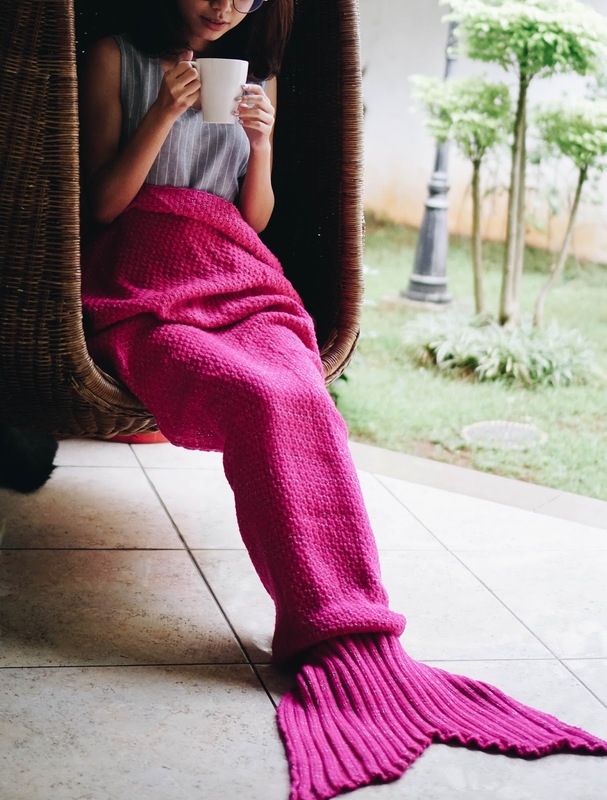 And what would be more perfect is when that gloomy weather is accompanied with a cute knitted Mermaid Blanket from Rosewholesale. 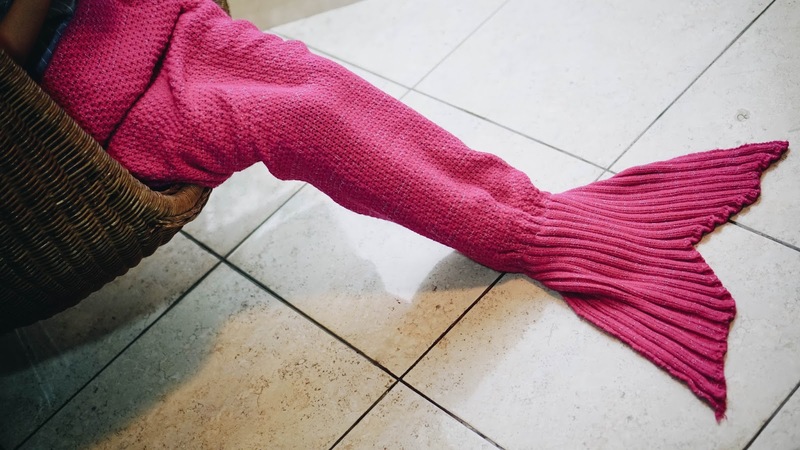 I love how this blanket keeps me, especially my legs, warm in super cozy situation, plus really love the pink color!